Berlin Flyer Wooden Wagons are crafted in Ohio. 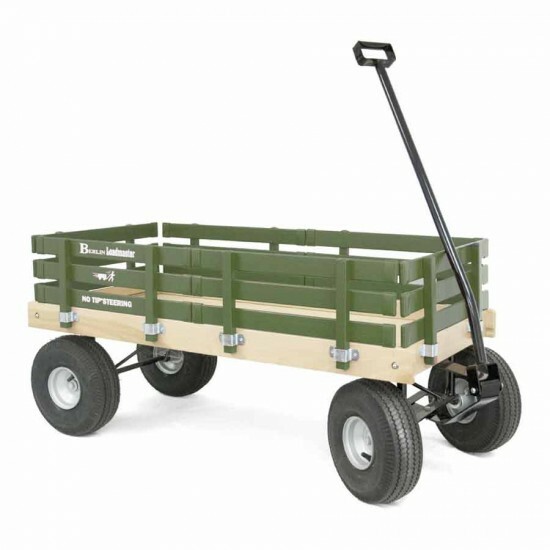 Featuring No-Tip steering, and a variety of wheel options, these durable wood wagons are a great multi-purpose child's wagon or tool. Berlin is a long-time partner with DurableToys.com, and prompt delivery is assured direct from the workshop.